Loving Moore: Matthew Gray Gubler ~ The New "Ghostbuster?" 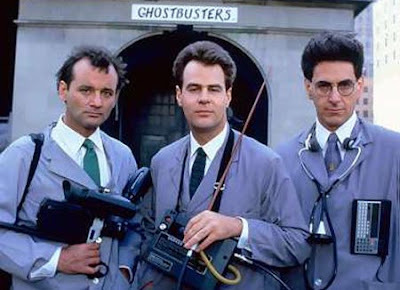 Dan Aykroyd says a new "Ghostbusters" will begin production Spring 2012, but the team won't be getting right back to business. This film will be about the team handing down the equipment and the franchise to new blood. Plenty of young actors are in talks and Aykroyd has someone in mind. He had this to say. "I like this guy Matthew Gray Gubler? from the 'Criminal Minds' show. But it's going to be a casting, we're going to see everyone who wants to do it," he said. "We need three guys and a young woman." Could our Dr. Spencer Reid be a new "Ghostbuster?" Dan talked to Dennis Miller about him recently on his radio program. You can hear the audio clip.